In See You Again in Pyongyang, Travis Jeppesen culls from his experiences traveling and studying in North Korea to create a multifaceted portrait of the country and its idiosyncratic capital city. Jeppesen challenges the notion that Pyongyang is merely a "showcase capital" where everything is staged for the benefit of foreigners, as well as the idea that Pyongyangites are brainwashed robots. Jeppesen introduces readers to an array of fascinating North Koreans, from government ministers with a side hustle in black market Western products to young people enamored with American pop culture. 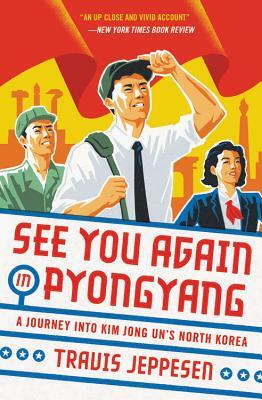 Revealing a complex society, rife with contradictions, See You Again in Pyongyang is an essential addition to the literature about one of the world's most fascinating places.